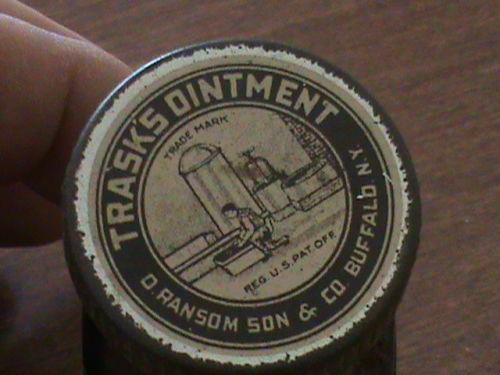 The Trask bottles have always been a favorite of mine – I guess it is the magnetic cure aspect of the item that is most appealing. 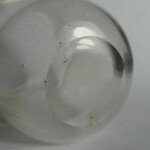 There are several variants – none is particularly common although a quick glance at eBay seems to turn up at least several for sale. Large size, aqua, smooth based, tooled lip. Embossing same as above. Height 3-1/4″ body 1-3/8″ square with chamfered corners. Open pontil variant. 2-1/2″ tall, rolled lip. Same embossing. 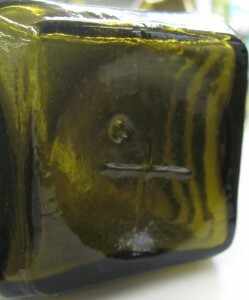 Flared lip open pontil variant. Same small size and embossing but different lip finish. Scarce. 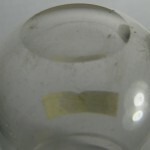 Clear flint glass variant. Tooled lip. Smooth base but an earlier bottle. 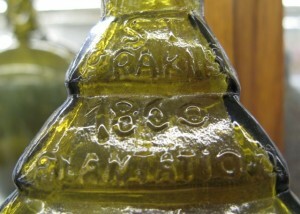 Modern screw top bottle, label only. See pictures below. Have you seen other variants? Let us know! 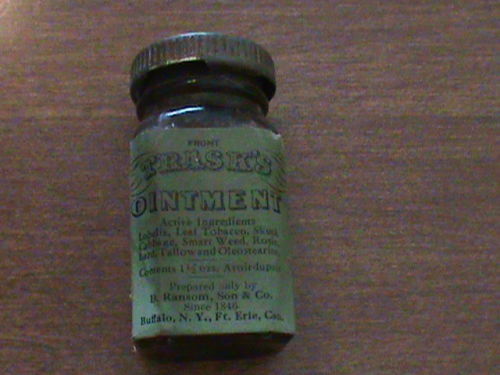 Dr. Wilson’s Magnetic Ointment – same 3-1/4″ tall size with the same body. See photo below. 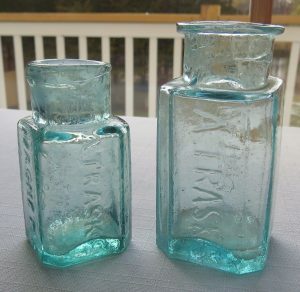 Dr. Wilson bottle on left, large size Trask bottle on right. 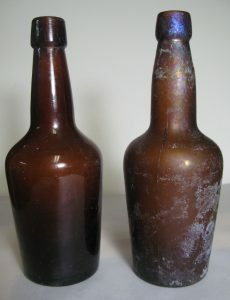 A crudely formed pair of Trask bottles recently seen on eBay. 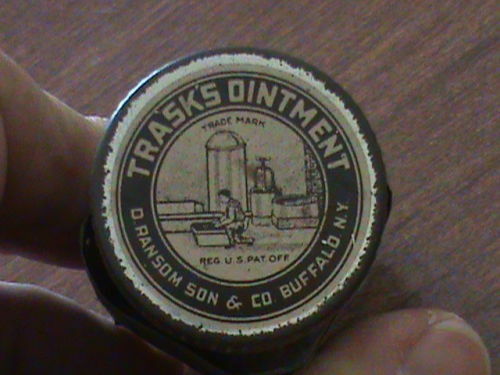 Trask jar in paper wrapper seen on eBay. 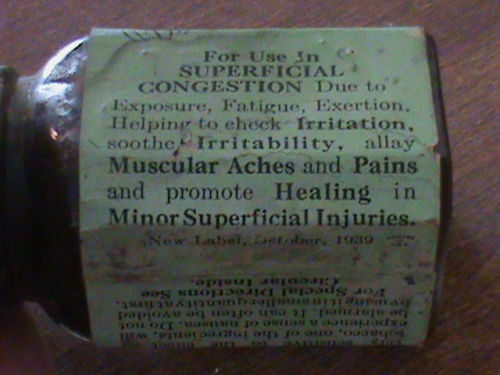 Date on wrapper suggests age 1912-20. The same graphic is used on almanacs of this era to advertise the product. 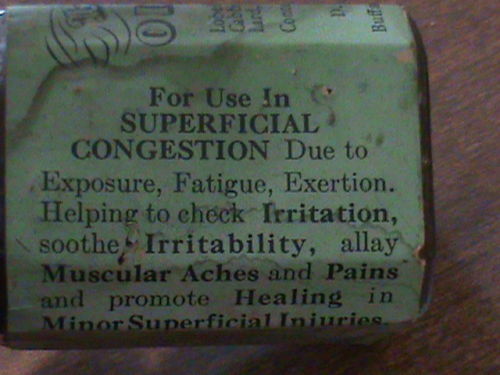 The neat thing about this bottle (which turned up on eBay recently) is its label and the information it provides about the product. 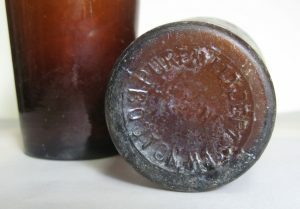 The label states “Since 1846” and also says new label adopted 1939 so we get both clues on dating this example as well as the lifespan of the company. Finally, the company. 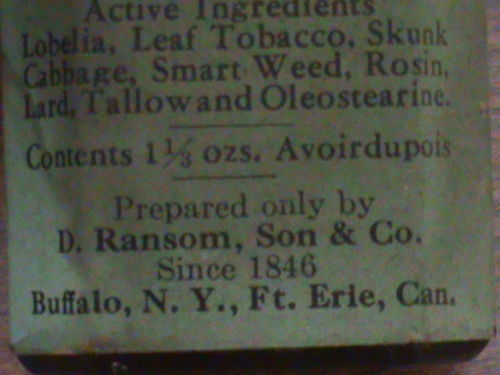 Still D. Ransom, Son & Co. Buffalo, NY and Fort Erie, Canada. Indeed Lobelia is cited for its ability to relieve problematic respiratory symptoms. Tobacco or plants of the Lobelia genus may have healing properties – going against the negative impacts of smoking. Medicinal properties of skunk cabbage or Dracontium foetidum. I assume the other ingredients listed above are inactive…but cannot confirm this. 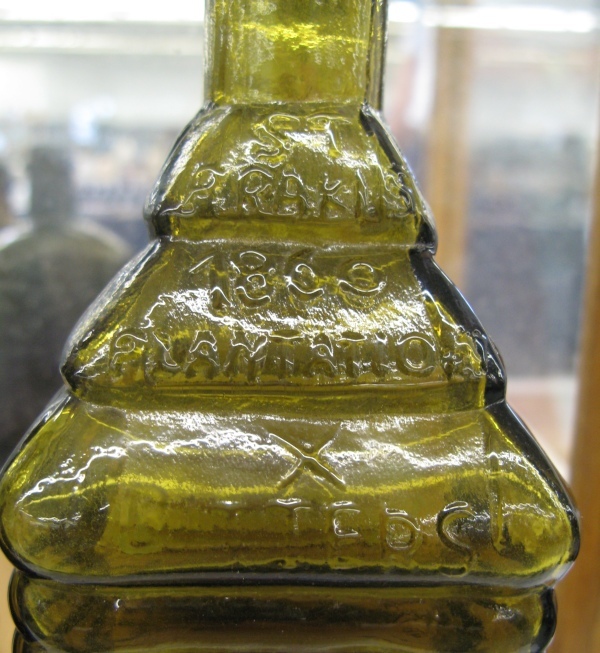 Most people encounter a dark olive green bottle marked “JOHANN HOFF” on the bottle’s shoulder. Occasionally they are found in other colors. There are other variants which are described below. 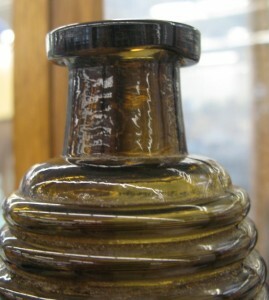 The typical Hoff bottle measures 7-3/4″ to 8″ tall with a body around 3 inches in diameter. Some have applied lips, others have tooled tops. These bottles date from the mid 19th century into the early 20th century. 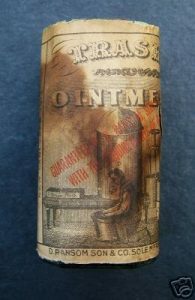 The Hoff product was malt extract and was marketed as a medicinal tonic those who were convalescing, with general disability, the weak, nursing mothers, etc. 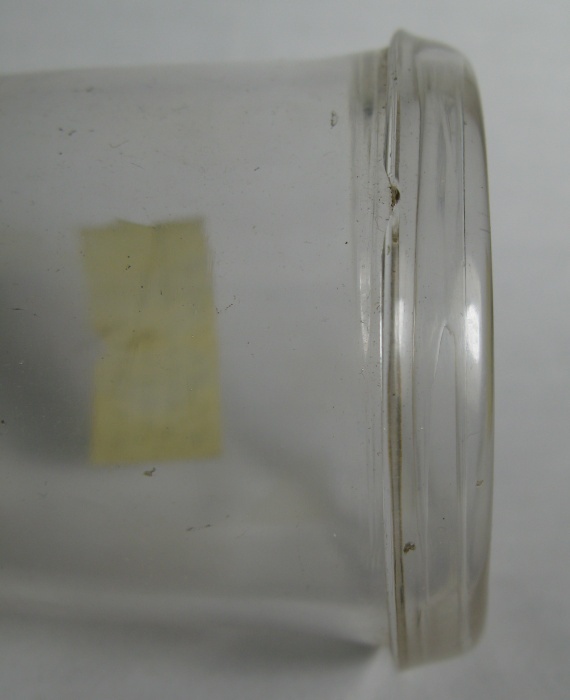 But the bottom line is this – this was an product containing alcohol, plain and simple. It was beer in medicinal packaging. 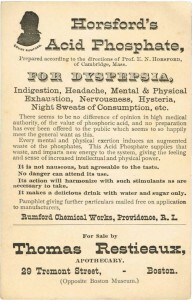 Much like bitters, this was a clever way of selling alcoholic drinks to a public that wrestled with temperance and later, prohibition. The most common variant is the olive green bottle as described above which are marked JOHANN HOFF. These are found in abundance, that is, they are very common. 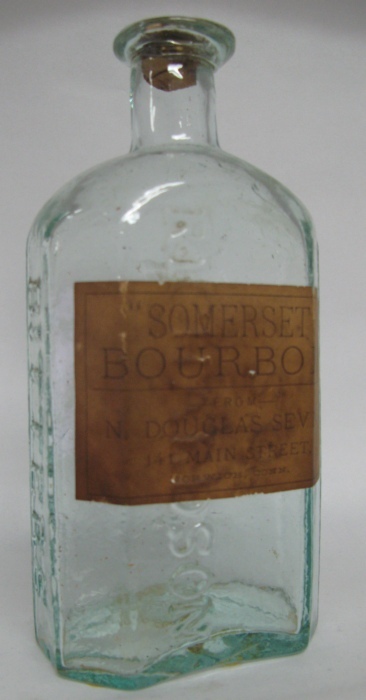 This bottle probably makes my “Top 20 Most Common Antique Bottles of All Time” list. As for value, good luck. If you can sell one for even a few dollars, consider yourself lucky. Less commonly seen are those in either a plain amber color, a light, translucent amber color as well as emerald green. While these colors are less common (and emerald probably scarce) this really does not add much to their appeal. 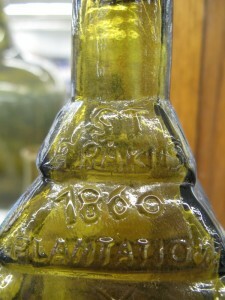 Another embossing variant is marked JOHANN HOFF / BERLIN on the body of the bottle. I consider these scarce. 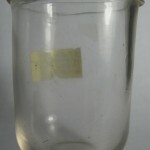 Labeled examples are also scarce and will find greater interest. 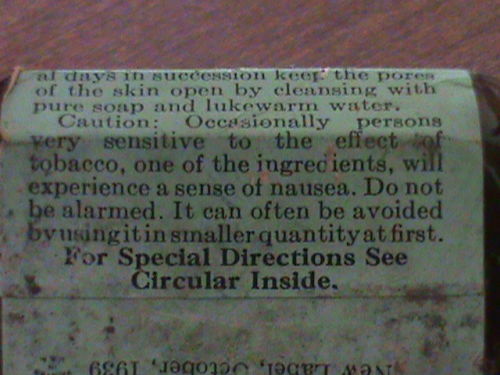 As always, the condition of the label is really important to value. I wonder whether the company continued selling the product into the teens and 20’s but perhaps in unembossed bottles. 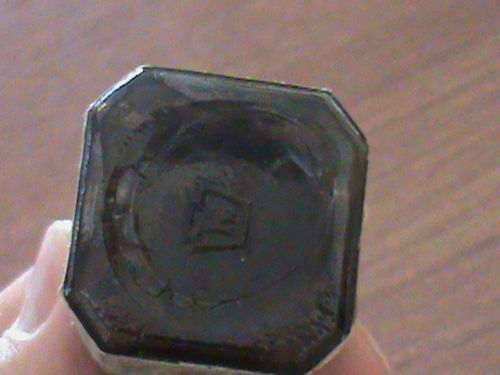 One advertising piece claims the company was founded in 1847 but I do not have accurate final date for the company. 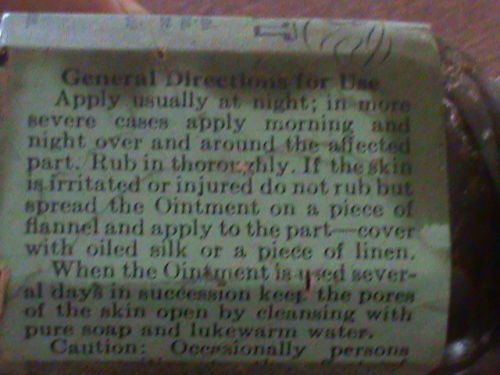 I do find them in the 1908 New York City directory as well as 1917-18. Looking for help with the value of your Hoff bottle? Post photos and ask questions on our antique bottle forum. 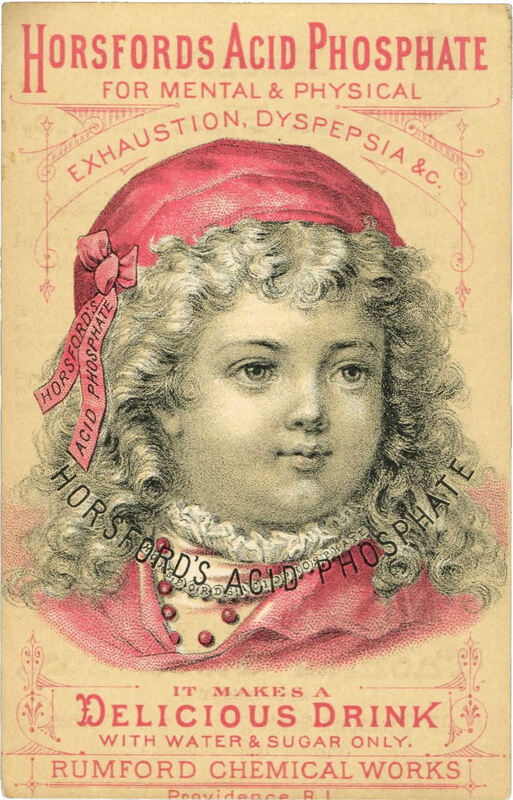 The Johann Hoff Company was fond of large advertisements in the periodicals of its time. Below are samples of several ads which utilized the endorsements of famous names including actress Viola Allen, operatic soprano Nellie Melba, Olga Nethersole, and a variety of military generals. 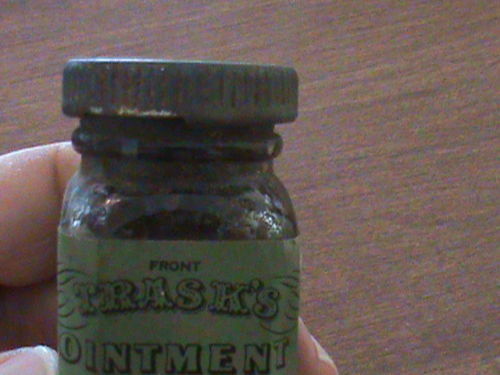 The sheer number of these bottles found today suggests malt extract was a popular product. 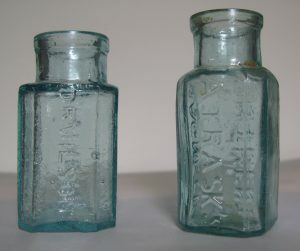 The collector will find other similar shaped bottles both embossed and unembossed. 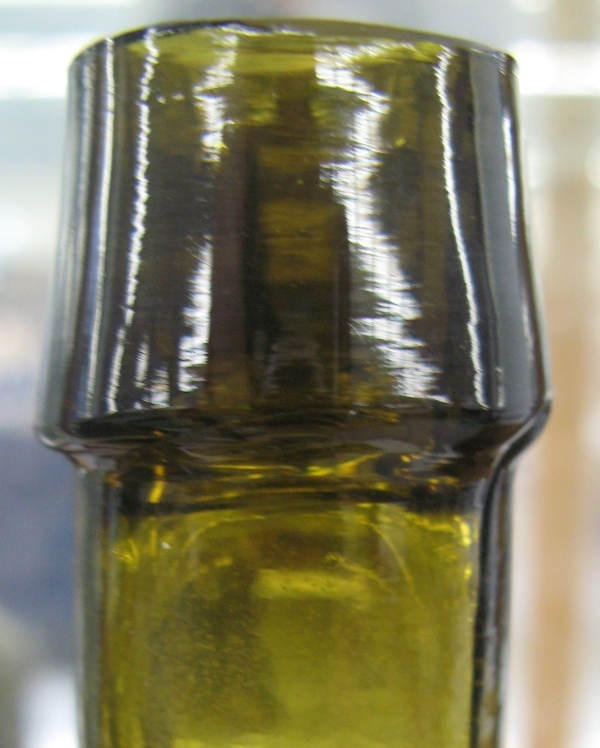 The image below shows two amber bottles – on the left has no markings, the right is marked on the base PURE MALT DEPT / CA KING / BOSTON MASS. 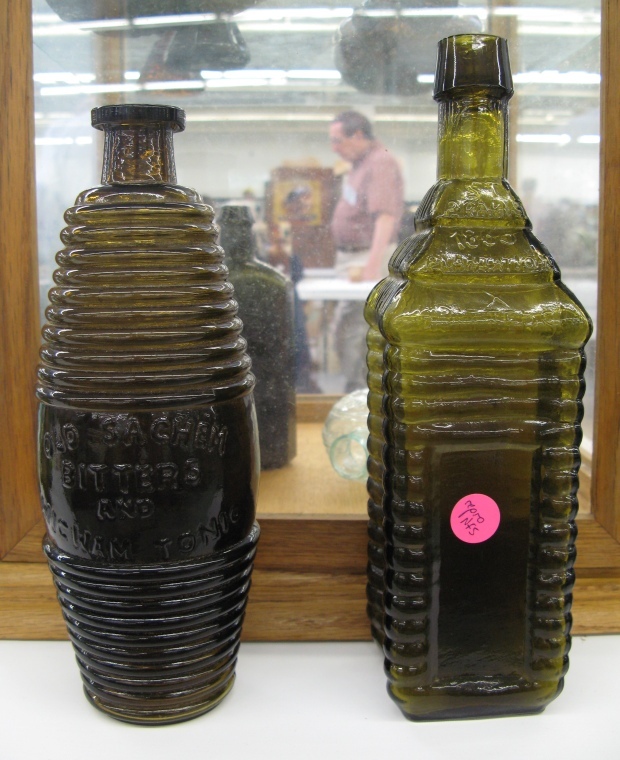 These two bottles date to the late 19th century. 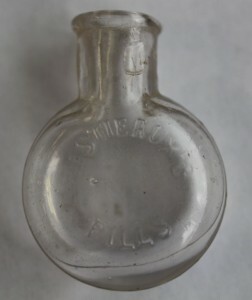 A later example of the King bottle with full label can be found on this page on the Smithsonian Institute website. 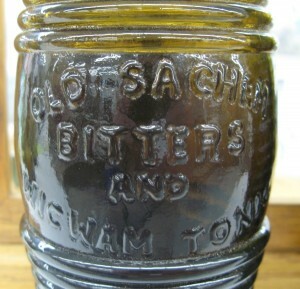 Johann Hoff was a nondescript product but contained a wildly popular stimulating beverage. It is also counts itself in the minority of bottled products which may be best known for its legal battles, clever marketing, and huge popularity. 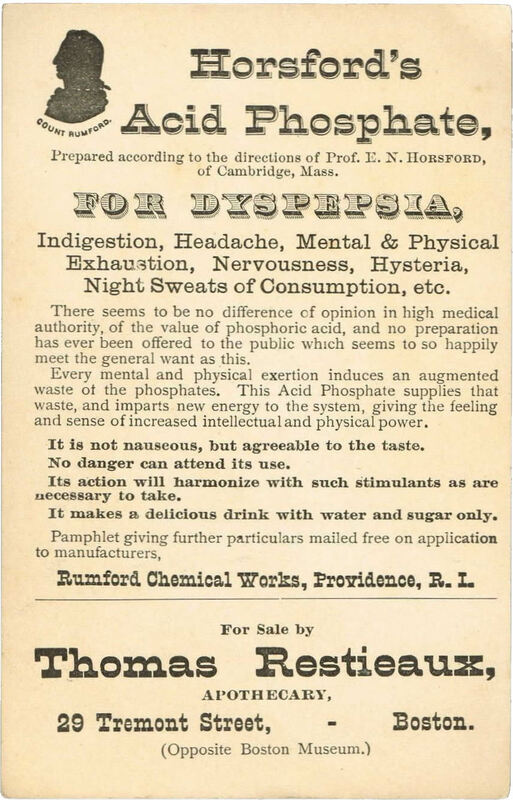 That’s more than you can say about most antique bottles today..
Journal of the American Medical Association (JAMA), Volume 61, Page 1552, October 25, 1913. Johann Hoff v. Tarrant & Co., The Federal Reporter, Vol. 71, Feb-March 1896, pp. 163-167. 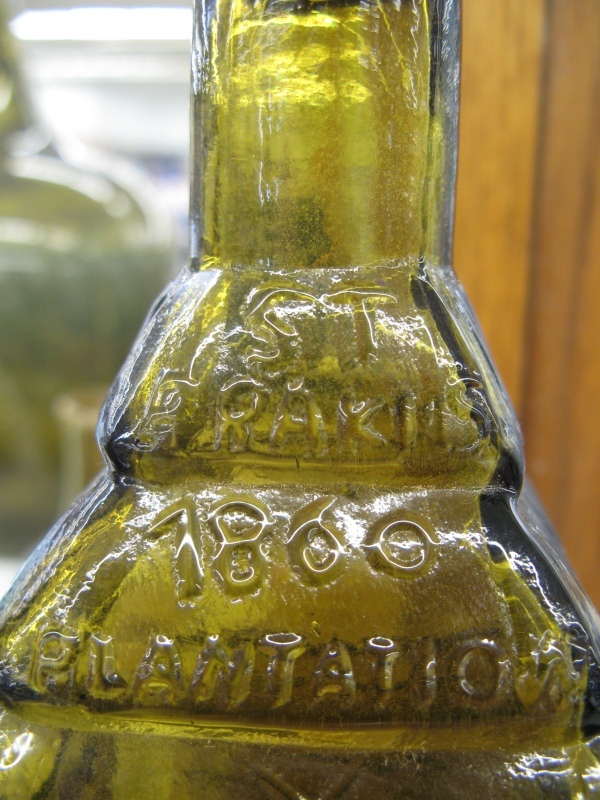 A new antique bottle auction record? If you ask around in the antique bottle community, you will hear that the top price paid for an antique bottle (we are talking empty bottles here to exclude wine) is around $200,000 in a private exchange. Officially, the record stands around $75k. 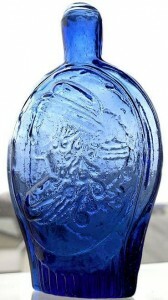 This week at Glass Works auction can be found a rare cobalt blue Columbia / Eagle flask, one of just three known in this rare color. 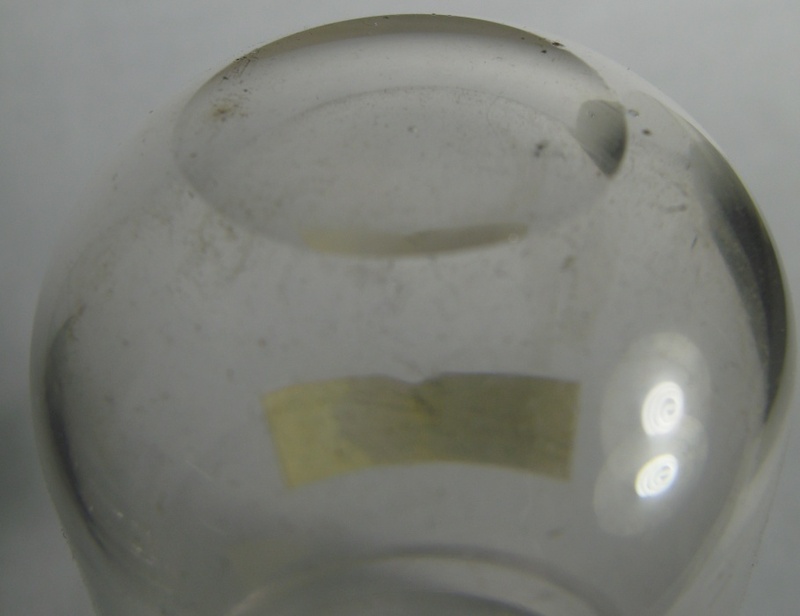 Longtime collectors will remember an example in the same mold and same color which brought $40,000 back in the late 1970s – a record at that time. 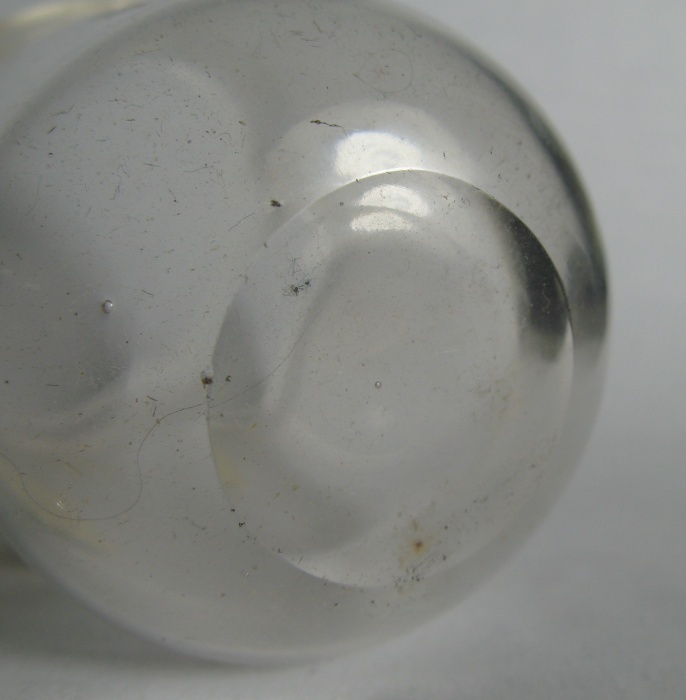 Glass Works has a pre-sale estimate on this flask of $150,000 to 200,000. 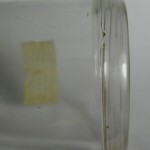 Many collectors I am sure are watching this closely and it will surely be ah hot topic at the upcoming Baltimore Bottle Show. 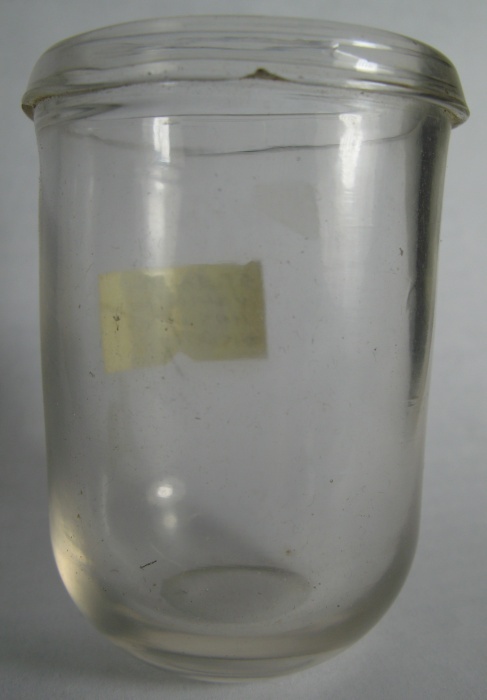 I have seen a number of these clear bottles which contain four separate sections. The first I acquired was probably back in the 1970s when I started collecting. 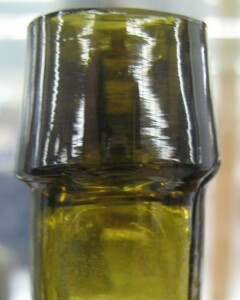 Newer examples are fitted with plastic pour spouts. I see to remember seeing at least one which was fitted with cork and glass pour spouts. Example 1 – marked “Nuyens” contains: Creme De Menthe, Creme De Cacao, Blackberry Flavored Brandy and Triple Sec. Example 2 – marked “Cointreau” contains: Cointreau, Creme De Menthe, Apricot Brandy and Cacao Chouao. Base is embossed “Bottle Made in France.” We know that at least the Cointreau is a French made liqueur. I am not sure about the others. Have you seen any earlier or different examples? Do let me know.